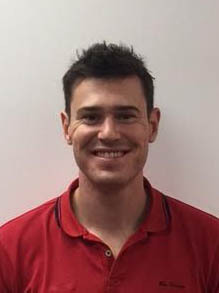 Bevan graduated from Charles Sturt University in 2013 and joined Balance Podiatry in early 2014, initially at our Casuarina clinic, before moving to our Palmerston clinic. Bevan has now moved back home to country NSW to manage his own clinic in Dubbo, NSW. Bevan provides patients with the highest level of podiatry services including laser therapy for fungal nails, custom-made 3D printed orthotics, general podiatry treatments such as routine nail and skin care, diabetic foot assessments and nail surgery. He enjoys working with all age groups and has experience in treating a wide variety of foot problems. He was drawn to the profession through his interest in sport and the opportunity minimise lower limb injury through biomechanical assessment and orthotic therapy. His other areas of expertise include ingrown toenail surgery, treatment of heel pain and paediatric assessments.